November 18 - Latvian Independence Day! November the 18, 1918 is one of the most significant dates in the history of Latvia. 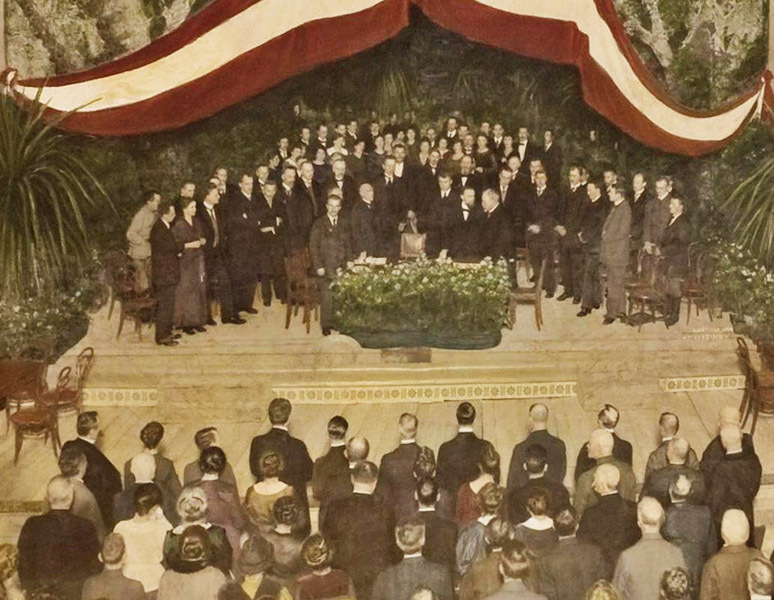 Almost 100 years ago “The Act of Independence”, which established the Latvian statehood, was proclaimed. Three years later all leading world states recognized Latvian independence. 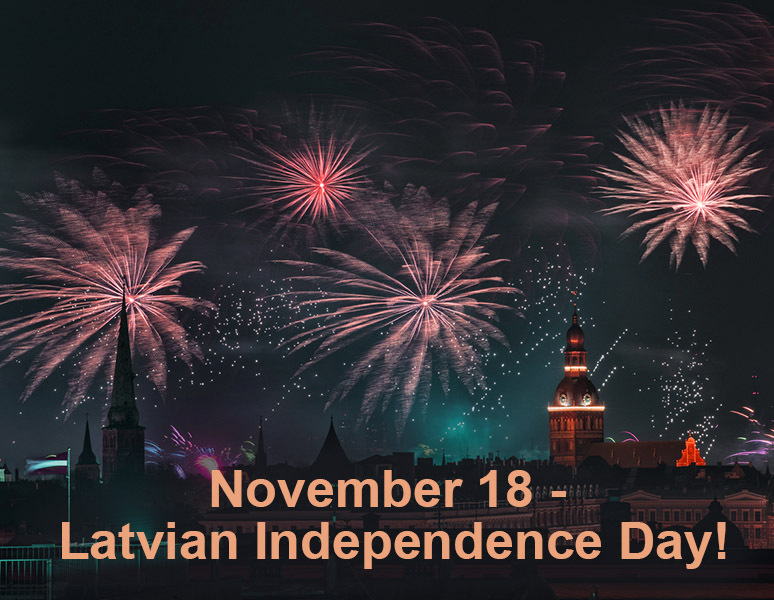 After the restoration of its independence at the end of the 20th century, November the 18th becomes one of the most significant holidays which is called the Day of Proclamation of the Republic of Latvia, or Latvian Independence Day. For more than 20 years Latvian Independence Day has become one of the most popular holidays in Latvia. 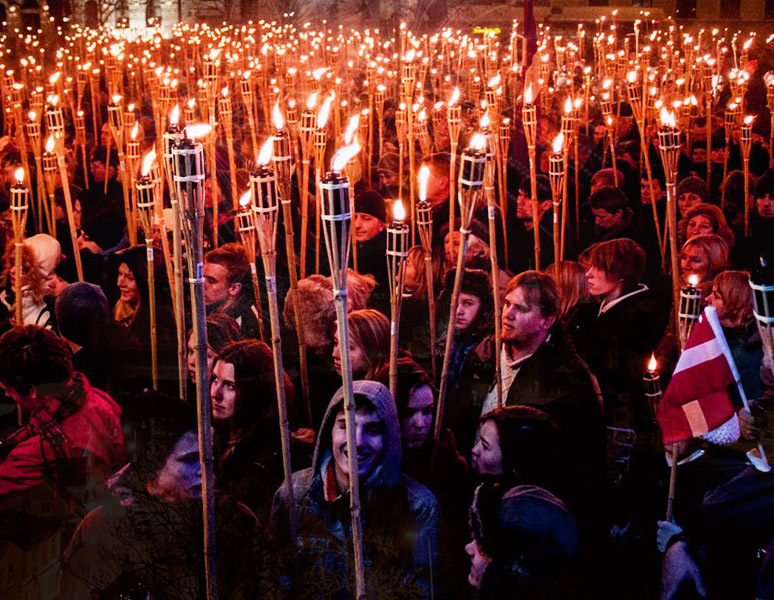 A lot of events dedicated to this day are organized in all cities and town in Latvia since the beginning of November. The extensive programme of these events includes various activities: concerts, exhibitions, evenings with artists and writers, etc. On November the 11th Latvia celebrates Lacplesis Day to commemorate the memory of all Latvian soldiers who fell in the freedom fight. The military parade as well as lots of concerts and exhibitions are held on this day. November the 18th is a public holiday in Latvia. Daugavpils celebrates this day with a lot of festive events around the city, free concerts and performances on the main square. In the evening the Daugavpils Mayor addresses the citizens. The official celebration ends with festive fireworks. There are always a lot of people on the square and in the city centre who continue to celebrate Latvian Independence Day until late at night. If you happen to visit Latvia around these dates, you should visit one of the concerts or one of many other events. This is a fantastic opportunity to get to know more about Latvian culture and history! It looks like our celebration of Independence Day. In Latvia, this day is also celebrated with the whole family and friends? Usually not. Our Independence Day is more an official holiday. People often spend it with family and friends, but typically, they attend together various concerts and other official events. This web site supports two languages – Russian and English. This is natural, since we provide Russian language study programs and the English language is the most widely known among our students.